Step into these stylish Floral Embroidered Slip-on Shoes and you'll be dancing on air. 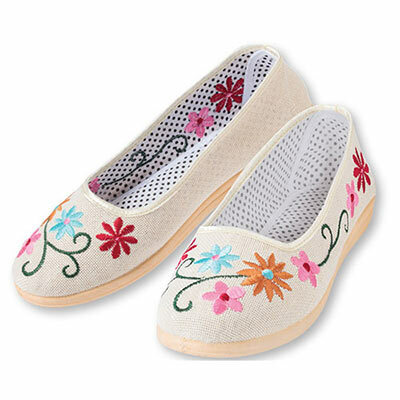 Canvas slip-ons feature pretty floral embroidery along the top and one side. Reinforced heel and flexible non-slip sole. Imported. Available in whole sizes.